India's leading venture capital firm - YourNest - announced that it will raise funds amounting to Rs 300 crore as its second round of funding. As India has the 3rd largest startup ecosystem and deep technology startups is superseding all other's expectation, YourNest will focus mainly on 3-4 deep technology startups and create unicorns over the next few years. As per reports, deep technology offers an opportunities to reach 20 percent from current 7 percent of exports. Just as IT as a service outgrew expectations, YourNest portfolios of Fund 1 & Fund 2 are aligned with the trend and intend to enable disruptor's. 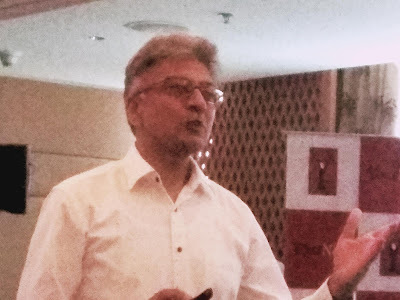 "Deep tech companies represent the next growth wave in India and are poised to grow exponentially, enabling Indian startups to become unicorns i.e. a start-up company valued at more than a billion dollars and also build global businesses," said Sunil K Goyal, Founder & CEO, YourNest Capital Advisors P Ltd. He adds that YourNest wants to focus on advanced robotics and invest in firms that will automate manufacturing, improve healthcare for the elderly and make lives safer for those working in hazardous conditions. We are looking at startups in electronic system design, enterprise, SaaS, software delivery, automation, deep learning and artificial intelligence. 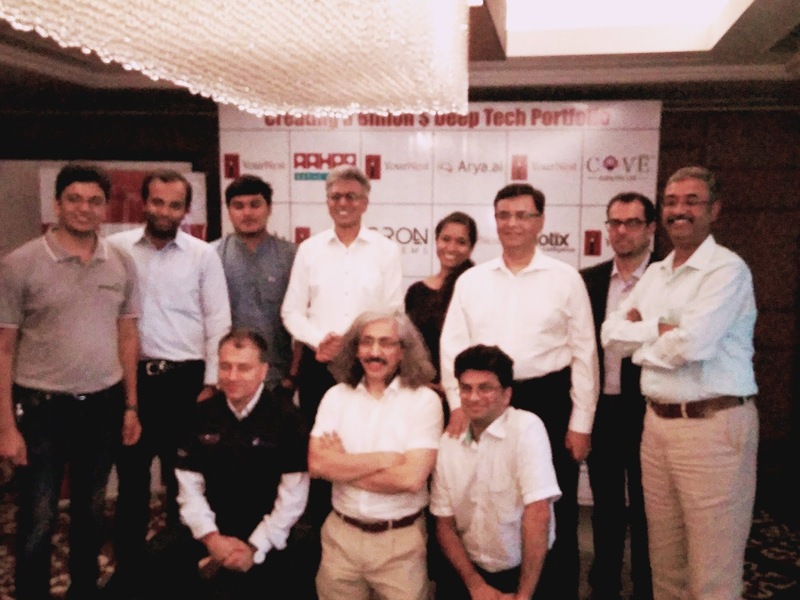 Some of the deep tech startups, YourNest has invested includes: emotix, arya.ai, pCoudy, Cove, Golflan, CRON Systems, Uniphore Software, mycity4kids, Rubique among others. Here are some of the startups, YourNest hopes to see emerging as 'Unicorns' over the next few years. Miko: Miko is India's first children companion robot from Emotix. The firm is a new age Indian robotics and consumer electronics company founded on the pillars of Artificial Intelligence (AI), and Internet of Things has secured a $2M investment through funds advised by IDG Ventures India and YourNest. Founders Sneh Vaswani, Prashant Iyengar and Chintan Raikar have been building robots from their student days, but seeing an un-addressed market need with room for impact, the trio co-founded Emotix in 2014. Emotix, is positioning its first product—Miko—as an emotionally intelligent companion robot capable of engaging, educating, and entertaining a child. The Emotix team spent almost two years perfecting the product and aims to launch more products in this space. Currently retailing for Rs 19,000 and sold in retail outlets and also on Flipkart and Amazon, Miko needs to be paired with a smartphone via Bluetooth and can provide three hours’ worth of conversations on one charge and about 1.2 hours of movements and conversation. Parents can also have access to a dashboard via a mobile app and can tweak Miko’s interactions with their children as they see fit. pCloudy: pCloudy is owned by Smart Software Testing Solutions Inc. and was founded by former software testing experts at Oracle, Adobe, HCL Technologies, and Wipro. Collectively, they have over 50 years of experience and a strong understanding of the business challenges that enterprises encounter. Their expertise has allowed them to design and integrate two signature cloud-based technology products, OpKey and pCloudy. Both tools focus on streamlining and improving the software development lifecycle by employing manual and automated testing. OpKey focuses on more traditional PC-based software while pCloudy targets the accelerated mobile application software space. These testing tools ensure that SSTS Inc. as a global industry provider of a complete software testing solution. COVE & COVENET: Singapore-based IoT solutions company KaHa founded in 2015, the company, which also has offices in Switzerland, India and China, develops customisable IoT wearable platforms for companies under its brands COVE and COVENET. These white label solutions include electronics design, printed circuit board assembly, application framework for IoS and Android, cloud services, data analytics and smart after-sales service tool. The firm primarily target consumer verticals such as health, wellness, sports and fitness, safety, smart payment, sensor-based gaming, smart fashion, home automation to smart automobile. Some examples of the products it has developed include smart bracelets, smart bands, full touch smart watches, smart T-shirts. According to a Analyst Gartner report, the global wearables market expected to grow 17 per cent this year with US$30.6 billion in revenues. Pawan Gandhi, Founder and CEO feels his company is primed and ready to meet the growing needs of this market segment. VEGA: An end-to-end platform from Arya.ai, VEGA simplifies complex AI processes enabling developers and enterprises to focus on core product features. The startup was funded by Vinay Kumar Sankarapu and Deekshith Maria. VEGA solves end-to-end deep learning product journey from building a neural network to production system design. Arya.ai is working in the banking and insurance and manufacturing sectors by deploying a man+machine ecosystem around VEGA to increase the efficiency of the performance, reduce the errors and track frauds. VEGA with features like agility,control, reliability, collaborate modelling and multi-functionally can jump start an enterprise, build the architecture and also the applications. Arya.in empowers its customers with a quintessential work bench, which enables companies to optimise deep learning from running their businesses successfully. The firm has banks and insurance customers in UK and are now targeting Indian customers.